Welcome to K500, the most accurate guide to appreciating the world of classic cars, written by experts, for collectors and enthusiasts. We like to think it’s the high octane equivalent of Robert Parker’s Independent Consumer Guide to Fine Wine: straightforward advice that pulls no punches. And it’s backed by over two decades of auction results converted to on-the-day $USD values, with all chassis numbers and dates of sale. 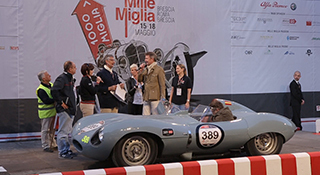 The K500 Index charts the overall course of the classic car market since 1994. You can access data in each sector to establish exactly which types of cars have done well. Whether it’s a ‘blue chip’ classic eligible for Pebble Beach, a potential Goodwood Revival racer, or just a fun addition to the holiday home garage suitable for a few days’ depreciation-proof motoring, we’ve analysed it and have the low down for you. There’s also an insider’s view on the top events, most of which we’ve tried ourselves, and a guide to the cars most likely to gain entry to them. 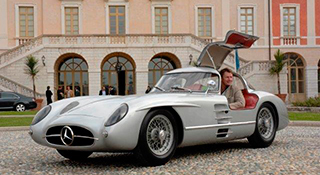 We have a lifetime of experience advising the world’s top collectors how best to add to (or refine) their garages. Now you can have the benefit of this knowledge 24/7, via www.K500.com and our regular updates on what’s happening in the market. We’ve gone beyond mere facts and figures – every car has a couple of no-nonsense lines that encapsulate it. We’ve also added some ‘did you knows?’ that should fascinate the most learned aficionado. So thank you for joining us: we look forward to sharing with you the very best inside track on the classic car market yet produced.